As a business owner, you need to keep an eye on numerous things throughout the day, including any vehicles you may have transporting goods. All of those responsibilities can be very taxing, so it’s important to do what you can to make your life easier. That’s why it might be a good idea to look into NYCONN Security Systems’ GPS vehicle tracking technology. With this system in place, you can track your vehicles’ movements throughout the day as drivers deliver your products. No matter what time of the day it is, you can turn on the tracking system and see where they are at that exact moment. You can also configure the system to send you periodic location updates or alerts when a vehicle ignition is turned on or off, too, giving you in depth reporting with ease. Another great use for the GPS tracking is for disciplinary reasons. Many employers pride themselves on having safe drivers, so it’s important to know if any of them are speeding. Using our GPS tracking you will be able to know whether your drivers are speeding and causing hazards to other cars on the road. Also, if you suspect a driver isn’t going where they say they are, you can just use the GPS to track their movements and follow them throughout the day. 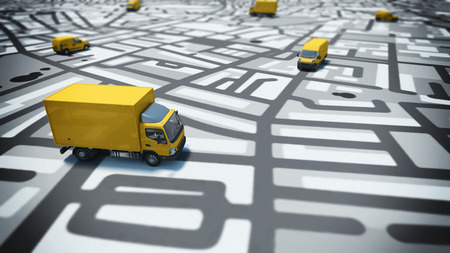 GPS vehicle tracking can also be used to help improve your fleet’s delivery. Our tracking offers a street map, satellite and a hybrid view that you can analyze to see if you’re using the fastest routes and most efficient routes to get your goods where they need to be in a timely and safe manner. Whether you want to keep an eye on your drivers or help track vehicles to keep your business safe, NYCONN Security Systems has got you covered. We will work with you to find the security system and technology that best fits your needs. For more information, feel free to call our New York location at 914-241-3700 or our Connecticut location at 860-354-1947 today!